^ 香港01. 受厄爾尼諾影響 天文台料今年最多7個颱風襲港　6月前或不打風. [2019-03-21]. ^ Tropical Depression 01W (One) Warning Nr 008. 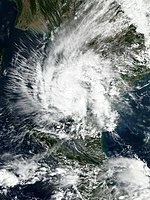 Joint Typhoon Warning Center. 6 January 2019 [8 January 2019]. （原始内容存档于2019-01-08）. ^ bwp012019.dat. 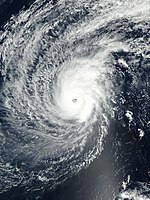 Joint Typhoon Warning Center. 8 January 2019 [8 January 2019]. 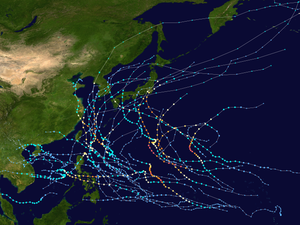 ^ Annual Report on Activities of the RSMC Tokyo – Typhoon Center 2002 (PDF). 世界氣象組織. 8. [2015-03-29]. （原始内容 (PDF)存档于2013-10-14）. ^ Tropical Cyclone names. 日本氣象廳. （原始内容存档于2009-12-12）. ^ Preliminary cost estimate of Wutip: More than $1.3 million. Guam Pacific Daily News. March 1, 2019 [March 2, 2019].